For the most reliable and highest quality ATMs, take a look at Triton. A trusted name in the business world, providing reliable and affordable products, for more than 20 years, Triton continues to set new standards with innovative features and support after the sale. A major provider of off-premise ATMs and ATM management software globally, Triton ATMs are made in the USA. They build them from the ground up at their state-of-the-art manufacturing plant in Long Beach, MS to provide you with the lowest total cost of ownership in the marketplace. With a sleek look and a small footprint, Triton ATMs have a great modular design which makes them easy to upgrade. Triton ATMs are easy to service and have the least amount of downtime of any ATMs on the market. And, thanks to superior engineering, most Triton ATMs average less than one service call per year, with most technical difficulties reported resolved by telephone. With a complete line of products for retail locations and financial institutions, Triton can help you find the ATM that is right for you. Triton’s low-cost Traverse is a great addition to their ATM line. Page under construction. New for 2013 is the Triton Argo. The latest ATM from Triton. 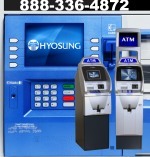 The Argo ATM consists of five different models. Page under construction.